This optional parameter specifies the name of the schedule associated with a rule. This parameter is allowed only for rules associated with SnapMirror policies of type vault or mirror-vault. When this parameter is specified, Snapshot copies are directly created on the SnapMirror destination. The Snapshot copies created will have the same content as the latest Snapshot copy already present on the SnapMirror destination. Snapshot copies on the source that have a SnapMirror label matching this rule will not be selected for transfer. The default value is -. Note: You define and name a schedule using the job schedule cron create command. This optional parameter specifies the prefix for the Snapshot copy name to be created as per the schedule. If no value is specified, then the snapmirror-label will be used as the prefix. The prefix parameter can only be specified for rules which have a schedule. CL9::> volume snapshot show -volume VOL001 -vserver SVM2 -fields snapshot -snapmirror-label "YEARLY_T"
As expected, we have monthly and yearly snapshot retention on the vault, but not monthly or yearly snapshots on the source. 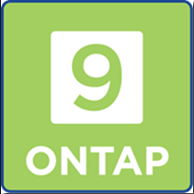 A great feature in ONTAP 9!